Australian opals are so incredibly complex; it's taken me many, many attempts, and many layers of paint to capture them on canvas. Persistence is my middle name! I love the way really wet paints interact. The flows and transparencies bloom and develop as it dries, allowing for complexities so unique I couldn't reproduce them if I tried. 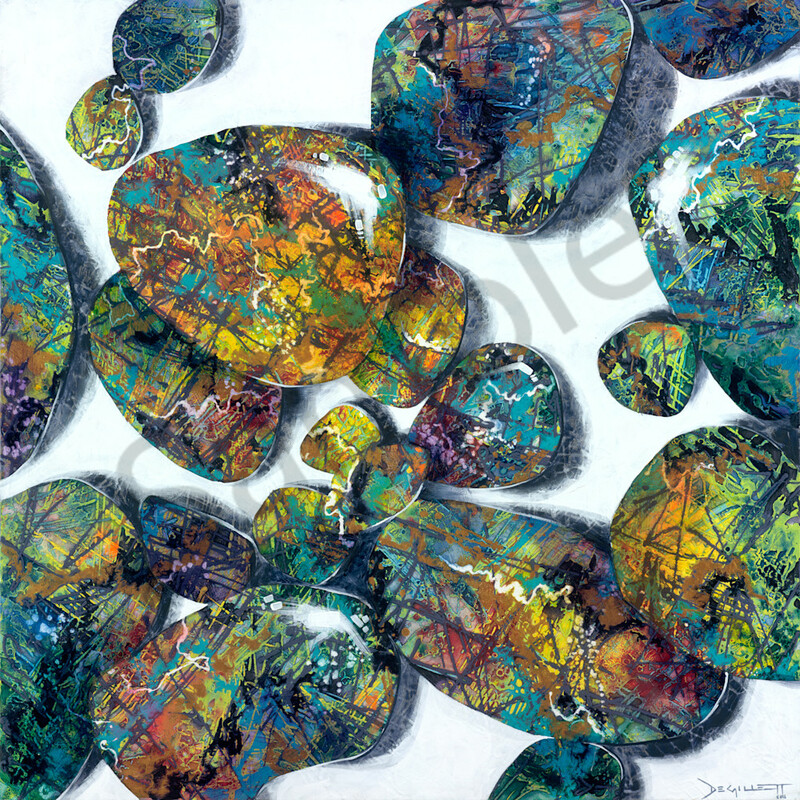 Opals are just so preciously unique themselves that it seems only right to use my self-developed technique of "gesso soup" to make them appear on canvas in all their magnificence. It was burying gold in those layers that finally solved the riddle.